What to do with a massive abundance of eggs i.e. 8+ dozen eggs? Option 1, have an egg overdose. I tried hard oh boy did I try hard. Eggs for lunch, eggs for afternoon tea and quiche for dinner. So after a day or two of that, I got pretty jack of eggs. Option 2, feed them to the dog. Opted out of that dog food is cheaper. Option 3, cook-a-thon. Meringue, magic bean cake, pancakes with double eggs, smoothies with 4 eggs. custard...... ok so I have a newborn this is not going to happen. I may have made each of those things once over a week. I need more hands, more sleep and more time. 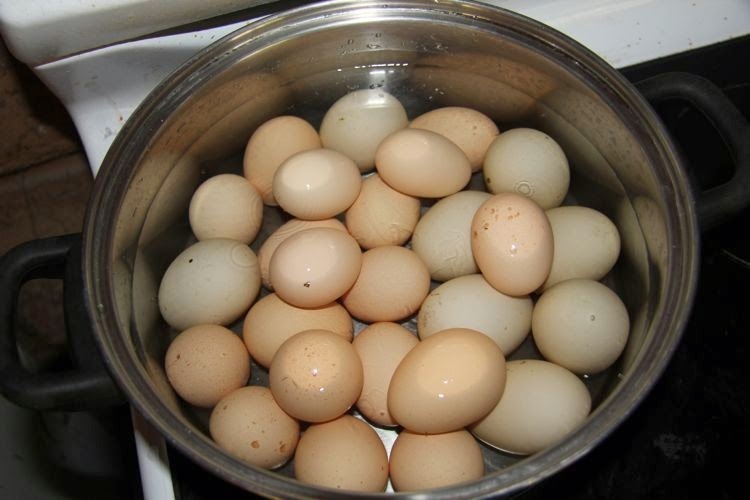 Option 4, preserving the eggs. Insane yes. Has this ever been done of course it has. So we decided to brine some and pickle some. Do they taste good, no one will tell us. 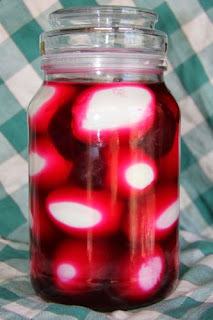 Today we look at pickling the eggs. Step 2. Peel the eggs, oh yes have you ever seen an egg peeled. 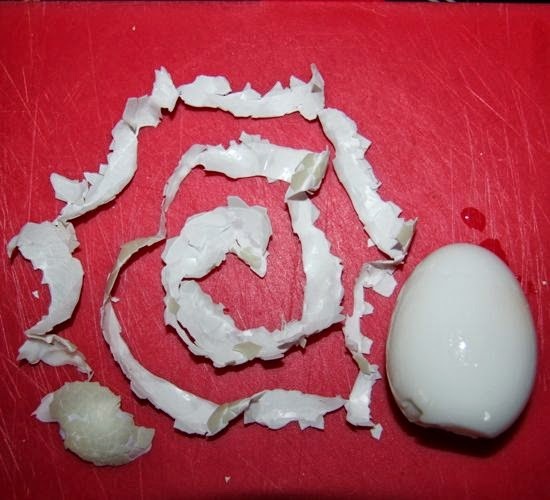 I am the master of all masters of egg peeling. 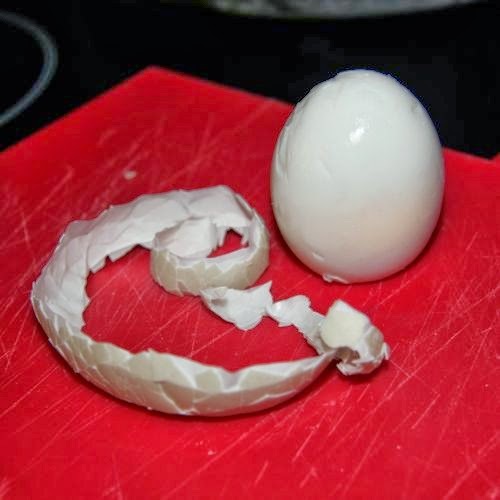 I challenge you to better my peeling and share your pic. Step 3. Pickle your eggs. We decided on a beetroot pickle. We fit 21 eggs in this jar. Looking now I am wondering if they are too cramped. Time will tell. Step 4. Store in fridge and wait 1-4 weeks depending where you are reading before you get to taste test your efforts.